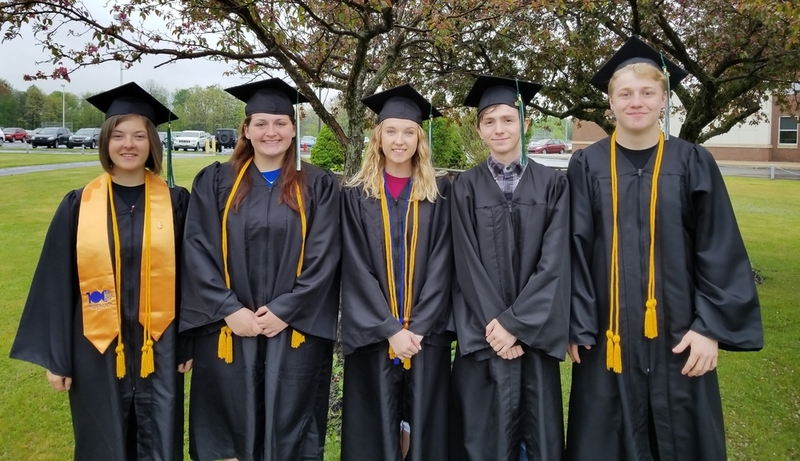 The Clearfield Area School District would like to congratulate the five students that were able to obtain their associate degrees while in high school. We couldn't be more proud of each student and all the hard work and dedication it took for them to reach this point. Congratulations again to Kirstin Norman, Kylee Mitchell, Jena Soult, Justin Olah and Wyatt Porter! !